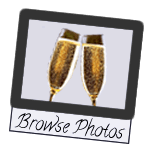 Wineries in Napa? Sure. Livermore wineries? Of course. But a winery in San Francisco? That’s a first for us, and actually the first for San Francisco in many, many years. 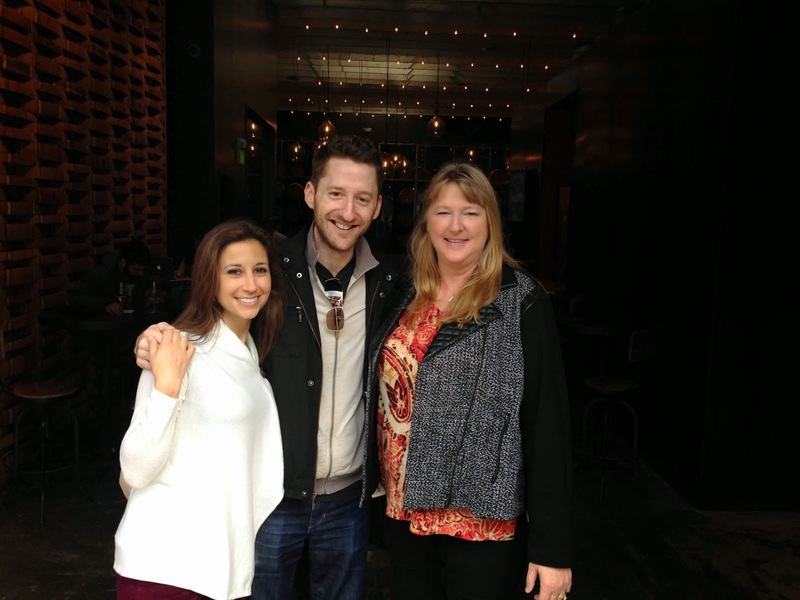 We recently ventured into the South of Market area for a wine brunch and continued the fun with a visit to the Bluxome Street Winery. What an amazing find! 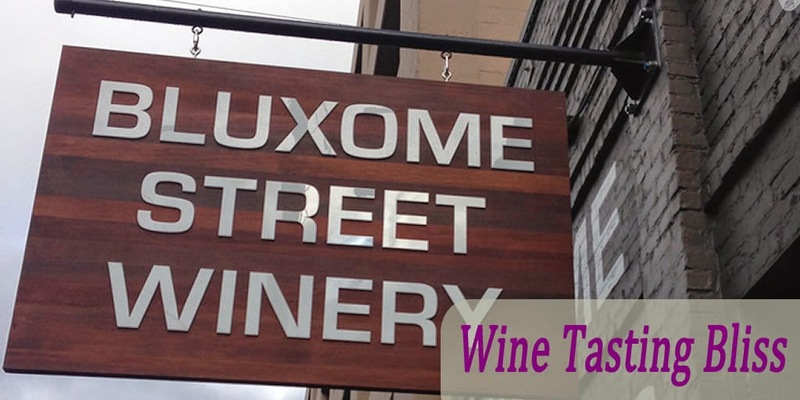 The Bluxome Street Winery is (wait for it) on Bluxome Street, between 4th and 5th street. 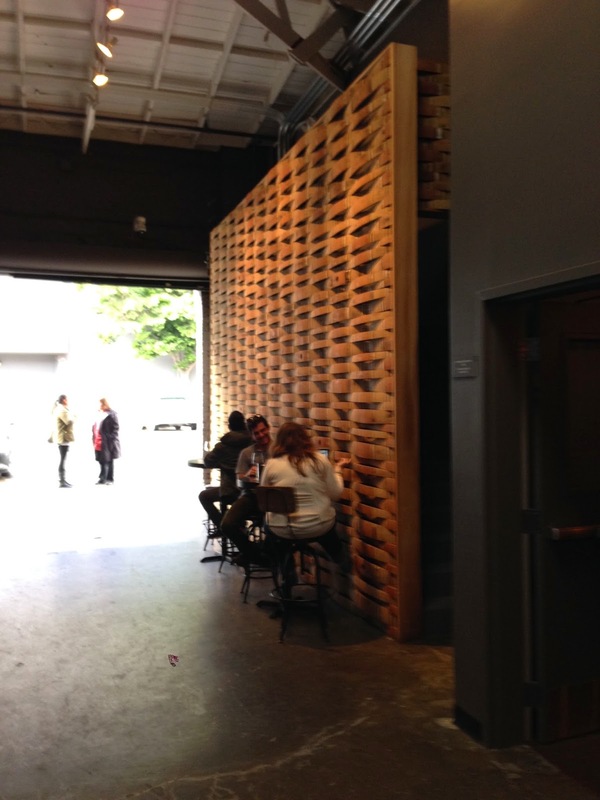 Just beyond the industrial roll-up door is found a phenomenal tasting room experience. The facility does everything involved with the wine making process except growing and picking the grapes. A pleasant blend of practical and photogenic, the tasting room has tables large and small and plenty to look at while enjoying the broad tasting menu. 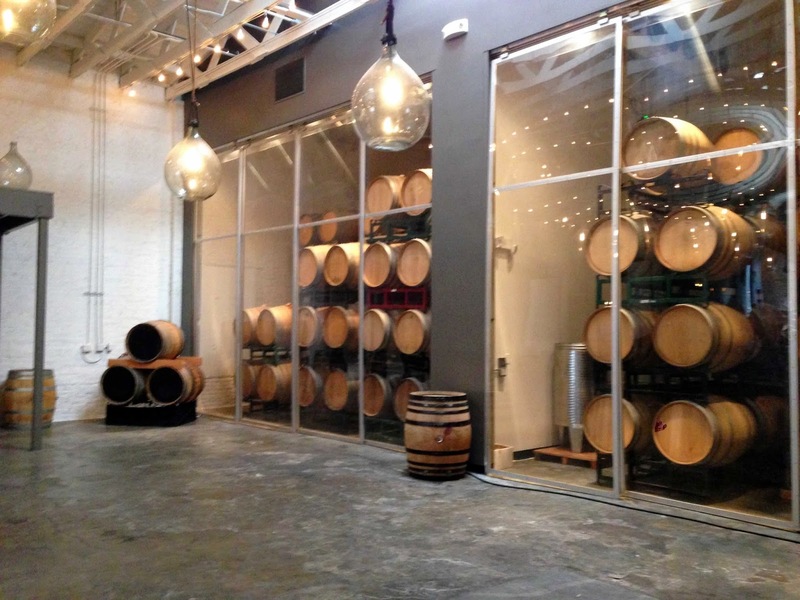 The Bluxome Street Winery has an interesting (and fun) method of wine tasting: side-by-side tastings. We started by comparing their 2011 Russian River Chardonnay, the 2013 Hawk Hill Chardonnay and their 2012 Russian River Sauvignon Blanc. Although the Hawk Hill Chard was great, the Sauv Blanc was a real winner with our group! Crisp, fruity and perfect for a summer afternoon. 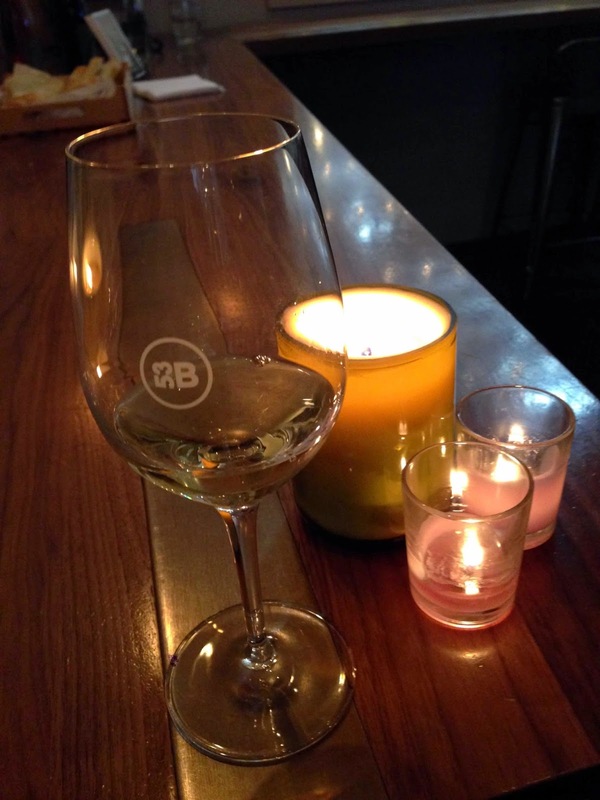 Sorry, Chardonnay, but you were totally owned by the Sauv Blanc. The heart of the tasting menu was the array of Pinot Noirs. As is our practice, we each selected a different tasting flight, so our table had the 2012 Russian River Pinot Noir, the 2012 AND the 2013 Hurst Vineyard Pinot Noir and the 2013 South of the Slot Pinot Noir. Rounding out the table was their 2012 Russian River Syrah. What an embarrassment of riches! In our group, the South of the Slot Pinot was the big winner. South of the slot is a slang phrase for south of the cable car slot, what we now call South of Market. It is only fitting that our favorite Pinot bears the moniker that so aptly describes the winery. Low tannins and great fruit balance! A bottle of this amazing wine followed us home. Completing our tasting was a surprise splash of their 2012 Balinard Vineyard Pinot Noir. 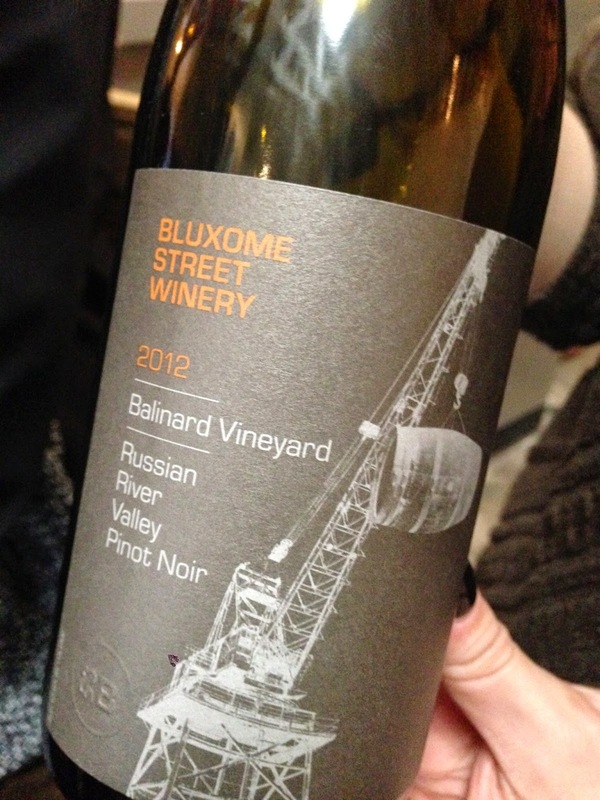 The Balinard vineyard is the estate vineyard of theBluxome Street Winery. A small plot, this vineyard produced an amazing Pinot, with spicy, bright fruit and a complex yet balanced finish. A bottle of this Pinot came home, too. At this point, our wine guide Loriana gave us a quick tour of the production facility. Everything required to transform a truckload of grapes into amazing wine is within this small space. De-stemming, crushing via bladder press, aging to the perfect moment for bottling, everything is right at hand. The winery maintains two temperature-controlled glass-fronted rooms for barrel aging and several large stainless tanks, with one poised 15 feet in the air. The only time the winery needs outside help is for bottling, when they bring in a truck-mounted bottling line. Then, we all pitch in with the tasting. Following our tour, we purchased our wines, said thank you and goodbye to Loriana, and headed off into the San Francisco sunset. Without a doubt, we will be back! Have you visited Bluxome Street? Click to give'em a tweet of support!